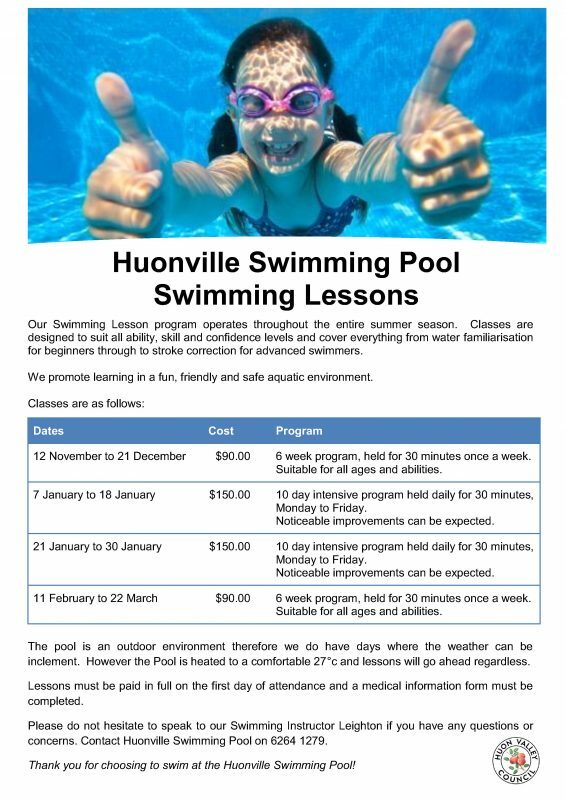 The Huonville Swimming Pool is an outdoor, 50m pool, heated to 27 degrees all season. There is a separate pool for toddlers. Swimming lessons are available for people of all ages and abilities. 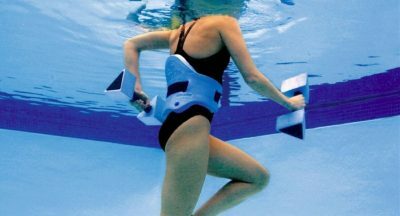 Lessons are taught by qualified AustSwim instructors who can tailor the program to individual needs and to people with disabilities. See the pool lifeguards for more information about swimming lessons. The pool is open from Saturday 3 November 2018 through to Sunday 31 March 2019, seven days a week (closed Christmas Day & Saturday 2 March 2019 for Aquatic Club Medal meet). During school terms the pool is open from 12 noon – 6pm Monday to Friday. School carnivals are held on weekdays during March from 9am-3pm, the pool will be closed to the public until 3pm on these days. Carnival dates are advertised on the pool noticeboard. On weekends and weekdays during school holidays the pool is open from 10am-6pm. Early Morning Lap Swimming Tuesday’s & Thursday’s 6.30am to 8.30am. 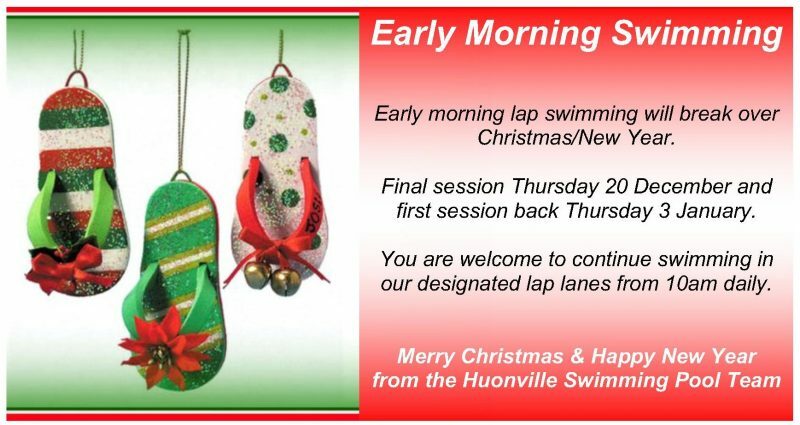 The pool is located on Heron Street, Huonville. POOL CLOSED – Monday 17 December 2018 until 2.30pm due to school carnival. Season Tickets Season tickets also allow entry to the Port Huon Sports & Aquatic Centre swimming pool from November to March. School carnivals are held on weekdays during March from 9am-3pm. The pool will be closed to the public until 3pm on these days. Carnival dates are advertised on the pool noticeboard. Contact Huon Valley Council on 6264 0300 to express your interest.